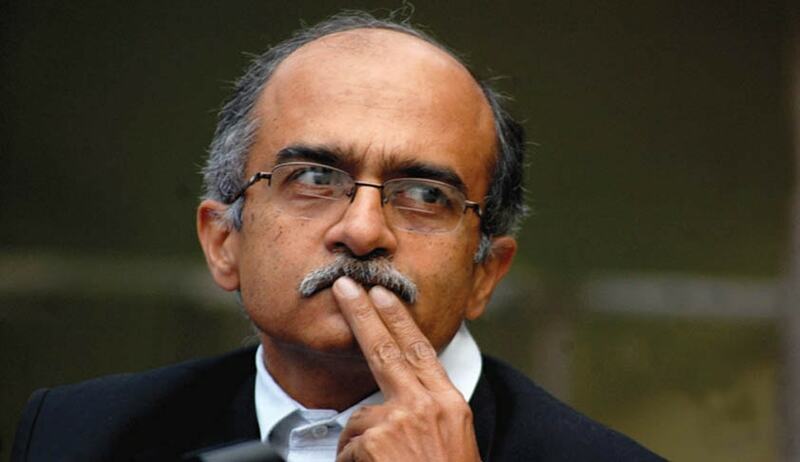 Eminent Advocate Prashant Bhushan, who received the breach of privilege notice from Rajya Sabha Privilege Committee, regarding the premature disclosure of the CAG report, appeared before the committee today, and made submissions to deny that he committed breach of privilege, as alleged by the committee. According to sources, the committee members just heard him, and they will decide whether to pursue the matter or to drop the notice. The sources, however, are unwilling to disclose more information about the committee proceedings today, as it may constitute fresh breach of privilege. The motion of parliamentary Privileges has a colonial origin from British Parliament which was regarded as sovereign. In India, people are the sovereign and Parliament is it's representative. The constitution has empowered its citizens with Fundamental Rights, including the right to free speech. The Hon'ble Supreme Court has held this to include the Right to Information holding that citizens have the right to know what their representatives are doing in every aspect. “The raison d’etre for these privileges is again succinctly explained by Sir Erskine May thus;The distinctive mark of a privilege is its ancillary character. This is has been reiterated by the Supreme Court in Lokayukta vs State of M.P., (2014) 4 SCC 473, wherein the Supreme Court has also held that privileges do not extend to administrative matters. Supreme Court held: “It is made clear that privileges are available only insofar as they are necessary in order that the House may freely perform its functions... Privileges do not extend to the activities undertaken outside the House on which the legislative provisions would apply without any differentiation. It is clear that the disclosure of the report has not impeded the functioning of Parliament in any way and therefore it cannot constitute Breach of privilege. Thought it has sometimes been held by the Parliament that premature disclosure of Parliamentary Proceedings or its committee may amount to Breach of Parliamentary Privileges. A CAG report is not a part of the Parliamentary Proceedings or its committee; rather it is an autonomous body created by the constitution. Merely because it is required under law to be tabled in the parliament doesn’t make it the report of the parliament or its committee. The CAG report complained of in the present case was the draft audit report of the CAG prepared prior to submission of its final report. The Central Information Commission (Manohar Parrikar & Ors. V. Accountant General, Goa) vide its order dated 10.06.2010 held that that the disclosure of the draft report, or even the final report of the CAG would not amount to breach of parliamentary privileges. The same view was taken by the Attorney General in 2012 when the issue of premature disclosure of the CAG reports or its draft was raised by the CAG with the government.